A while back I was looking for an easy way to stay up to date with VMware ESXi patches. VMware provides a lot of RSS feeds that keep you updated on new blog posts, new KB articles, security advisories etc., but ... I could not find anything that would just ping me whenever an ESXi patch was released. The closest thing that I found was a link named "Get New Patch Alert" on the My VMware Patch Download Portal. That will refer you to the profile settings of your MyVMware account where you can manage various subscriptions including something that should keep you updated on new releases and patches of all sorts of VMware products. However, this just never worked for me, I never got a single e-mail out of this (anyone? ), so I must assume that this service is not functional. 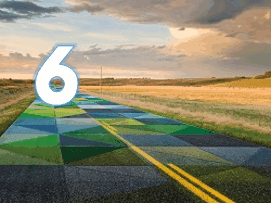 VMware launches vSphere 6 - What's in ESXi 6.0 for free license and white box users? The cat is out of the bag and it wears the number 6. VMware has announced its much anticipated new major version of their flagship product vSphere, and right now the virtualization blogosphere is humming with the news about vSphere 6.0. But what's in vSphere 6 that is useful for users of the free ESXi license and home labs?